The BEST Performing Sprint Car RACING Air Filter System availble today! No filter can match the new 3600 CFM + R2C Sprint System for dirt stopping ability! No need for silicone to seal stacks! Hose clamps secure the seal to the stack. No Oiling - Blow it clean using 50-60 psi compressed air from inside out and it's ready to go time after time! Washable too! 8 latch design for maximum perimeter sealing - eliminate the leakage 2 and 4 post systems allow. No filter oiling or solvent cleaning necessary! Filters are restored and race ready in minutes. Lightweight Aluminum Base with Extruded Shaped Gasket for Precise Sealing. Redesigned filter with latches moved to the base for easier installation. 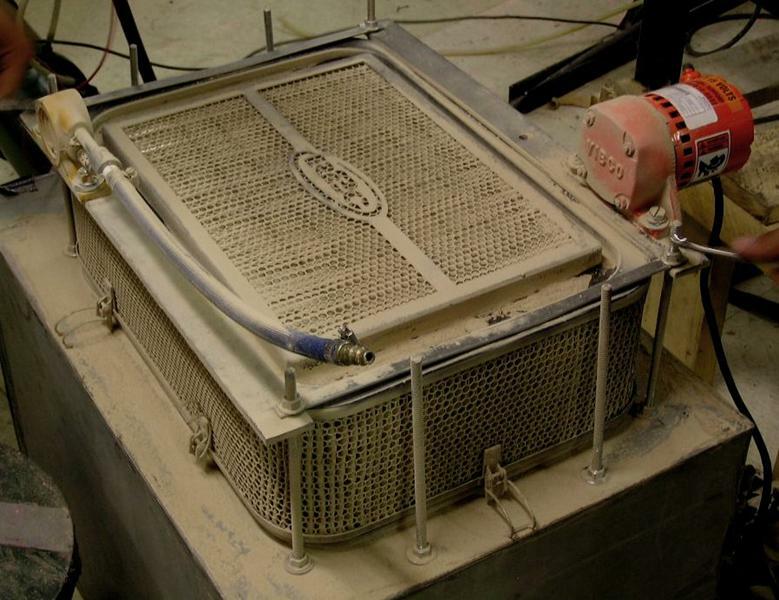 Oil analysis results indicate the lowest silicon ingress providing maximum engine life. SF10500 Series 19" x 13.75"
Savvy engine builders understand that maintaining a horsepower advantage at the checkered flag wins races. Dynamometer testing has revealed up to 50 horsepower is lost in some applications as dust loaded filters deprive Sprint Car engines of intake air. It’s also important to understand that engine protection under the most demanding conditions is vital. R2C’s patent-pending, advanced competition filter technology provides that deep, flag-to-flag power while also providing unmatched engine protection. 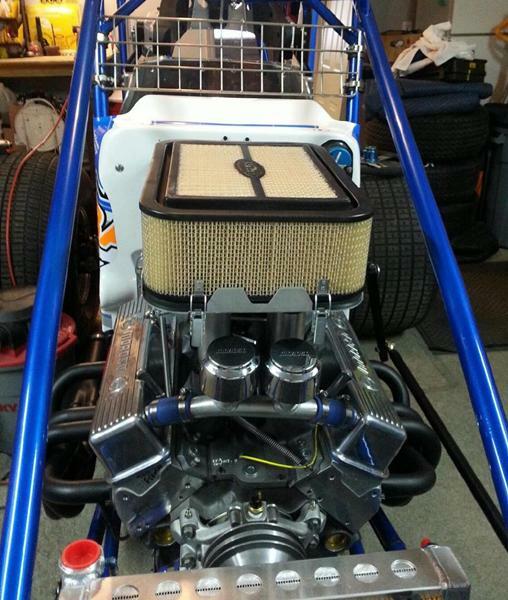 R2C Sprint Car air filters help engine builders maintain the best leak down numbers, eliminate unnecessary cylinder wall and combustion chamber wear and also prevent engine oil breakdown caused by particulate ingestion. 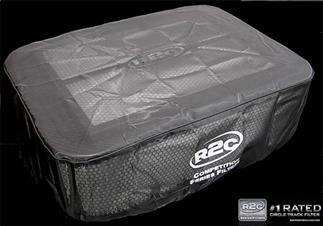 R2C synthetic filters clean with low pressure compressed air and are the longest lasting filters in the business! R2C Sprint Car filters feature a quick, eight point latching system that ensures a positive base seal and eliminates the troublesome mounting posts. Filter installation and removal is a snap. Teams can remove the filter, blow it clean from the inside surfaces using 40-60 PSI compressed air and have it race-ready over and over again in minutes! No more solvent cleaning, drying and oiling hassles! R2C base systems are designed to provide to finest stack sealing featuring a proprietary flange that attaches with clamps. Base removal or adjustment is completed in minutes and never requires the need for grease or silicone again! Individual Bases are available to fit all of the popular injection systems. Custom bases for easy installation. Nothing to drill. Just slide your stacks through the seals and clamp the base in place. Easy and secure stack mounting using clamps instead of thin nylon ties or silicone. Seal A40 fits 2.25" - 2.625" Stack O.D. Seal A41 fits 2.50" - 3.200" Stack O.D. Clamps and rivets not included. ©2010 R2C Performance. All rights reserved.